You probably spend more time than you realise copying, moving, renaming, and otherwise organising files on your Windows hard drive—so knowing how to do all of this faster and smarter can claw back a serious amount of time. 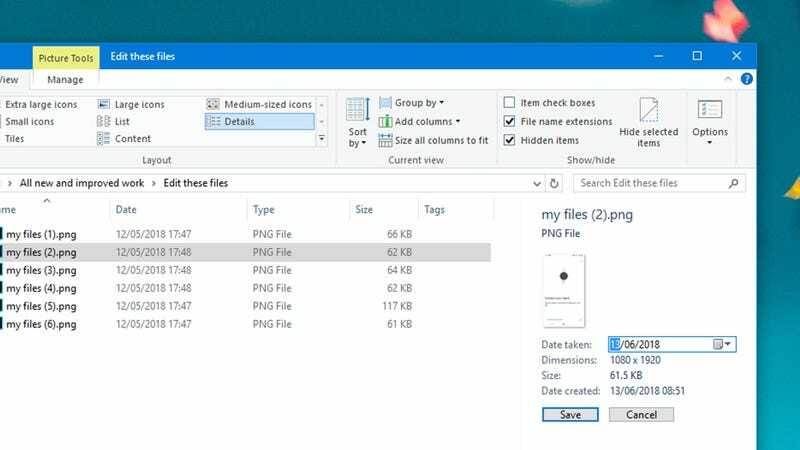 Here are 20 of our favourite hacks and tricks for mastering File Explorer and file management in Windows. If you want to delete 29 files in a 30-file folder, don’t select the 29. Instead, select the one you want to keep, then click Invert selection under Home on the File Explorer ribbon menu. Hit Alt+H then tap S followed by I to do the same job via keyboard shortcuts. Not still renaming files individually are you? 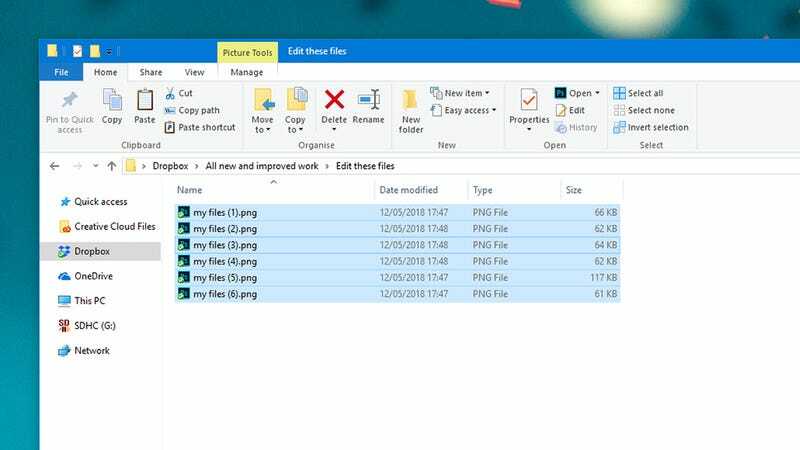 Select multiple files (with Shift+click or Ctrl+click) in File Explorer, then right-click on them and choose Rename — the filename you enter is given to all the selected files, with a different number added on the end. Maybe you don’t want anyone recovering your erased data, or maybe you just don’t want the Recycle Bin taking up storage on your drive, but to permanently delete a file the first time around, hold down Shift before you hit the Delete key. You still get a confirmation box too! 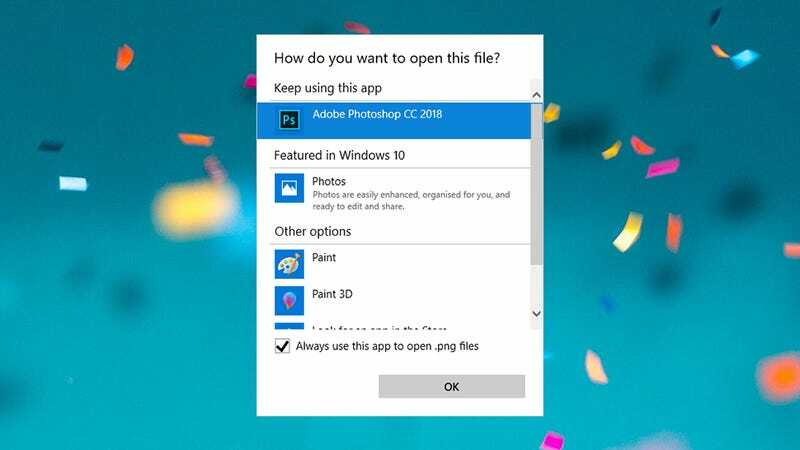 Don’t settle for files opening with the wrong app when you double-click them: Right-click a file, choose Open with then Choose another app, and make sure the Always use this app box is checked before you pick. Scroll down to More apps if you don’t see the right one. Opening up the View tab of the File Explorer ribbon is one way of changing the size of the thumbnails representing your files, but there is an easier option: Hold down the Ctrl key then move the mouse scroll wheel up or down to change the display formatting used. 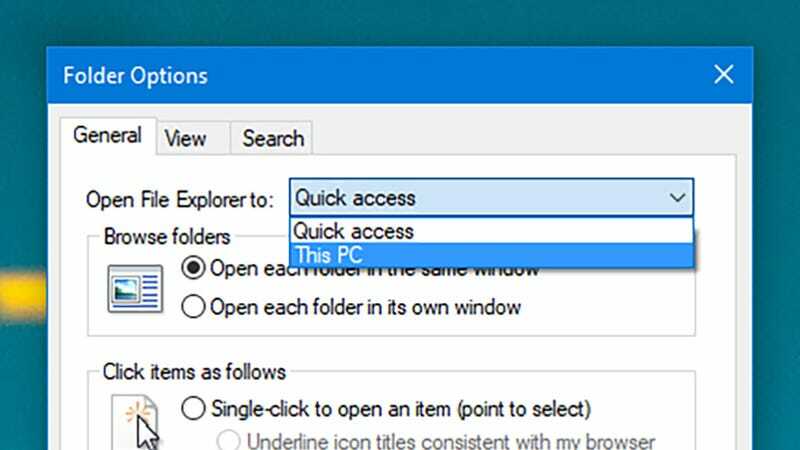 By default, File Explorer opens the Quick Access screen when launched. If you’d rather go back to the old-school approach, and display your system drives first, right-click the Quick access link on the left and choose Options. Pick This PC from the top drop-down menu. A quick tap on Alt+P in File Explorer will bring up the preview window on the right (or hide it if it’s already showing). To show or hide the details pane instead, showing information like picture dimensions and the date a file was created, use the Shift+Alt+P shortcut. If you find a particular mix of display settings that you’re fond of — like a certain thumbnail size — you can easily set this as the default for all folders of the same type. Open the View tab on the File Explorer ribbon, click Options, then click Apply to Folders under View. 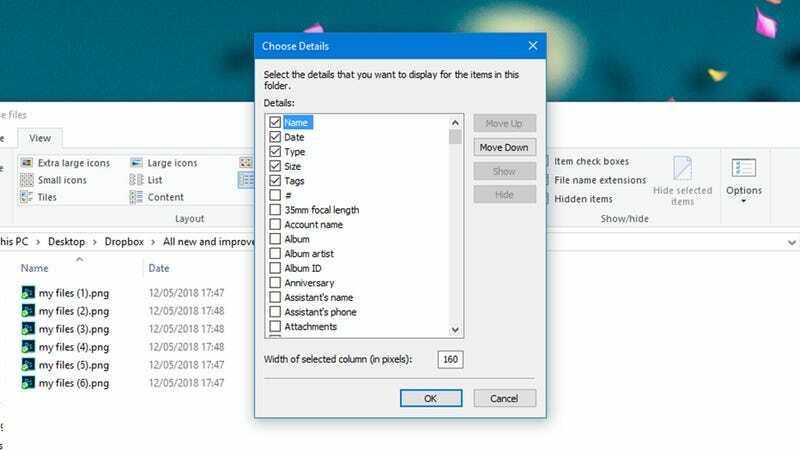 Arranging multiple File Explorer windows can be tricky (by the way, use a scroll wheel click on the File Explorer entry on the taskbar to create a new window). To simplify the process, right-click the taskbar and pick Show windows stacked or Show windows side by side. We’ve explained how to bring up the details pane (Shift+Alt+P) but that pane also lets you edit a file’s metadata — just click in any field to do it. You can set when photos were taken, add tags and categories to files, and even give your media files a star rating out of five. 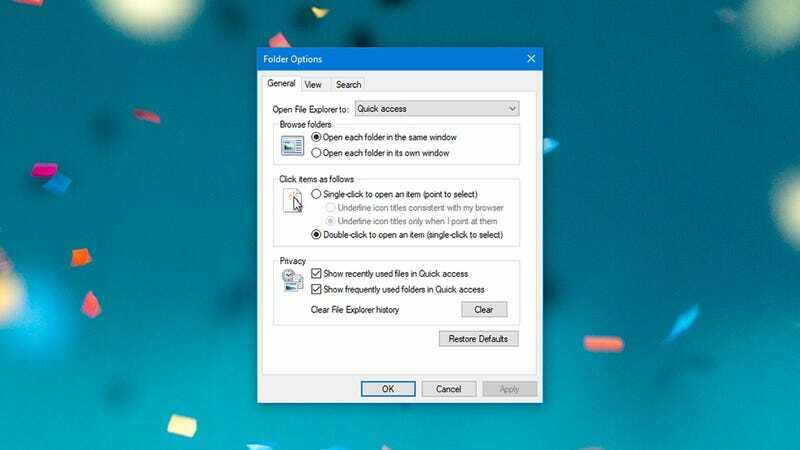 Keyboard shortcuts for File Explorer can make it much easier to jump around your files and folders, and some of them match web browser shortcuts: Use Ctrl+N to create a new window, Ctrl+W to close the current one, and Ctrl+F to jump right into the search box. As on the web, you leave records of your browsing and searching when you use File Explorer, and you might not necessarily want other people finding it. Click Options on the View tab in File Explorer, then pick Clear under the Privacy heading on the General tab. 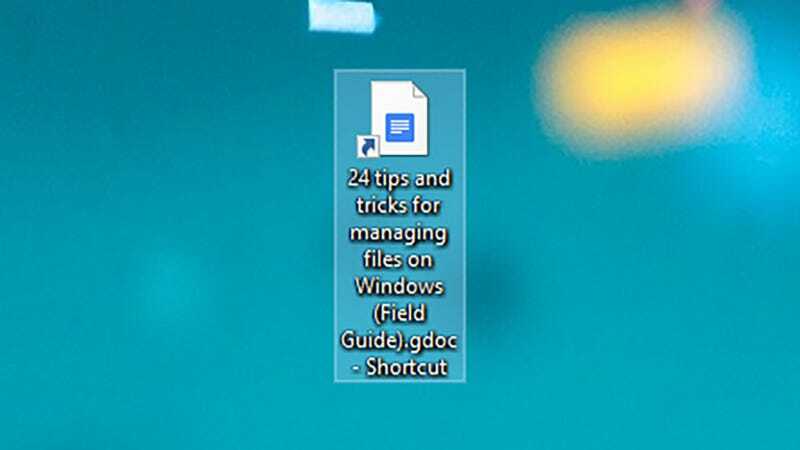 To move a file, you don’t always need two open windows — drag it up to the address bar at the top to put it in a parent folder, or over to a folder in the navigation pane on the left (you can hover over a folder to expand it). Hold down Ctrl to copy rather than move the file. Save yourself some space on disk by packing files you don’t use often into a compressed archive, with no third-party software required. Select the files you want to pack away, right-click on part of the selection, then choose Send to and Compressed (zipped) folder. If you’re in a particular folder and want to see all the folders above it, tap Ctrl+Shift+E to see a list in the navigation pane on the left. You can also hit Num Lock+asterisk (*) to see all the subfolders underneath the selected folder, again in the left-hand navigation pane. 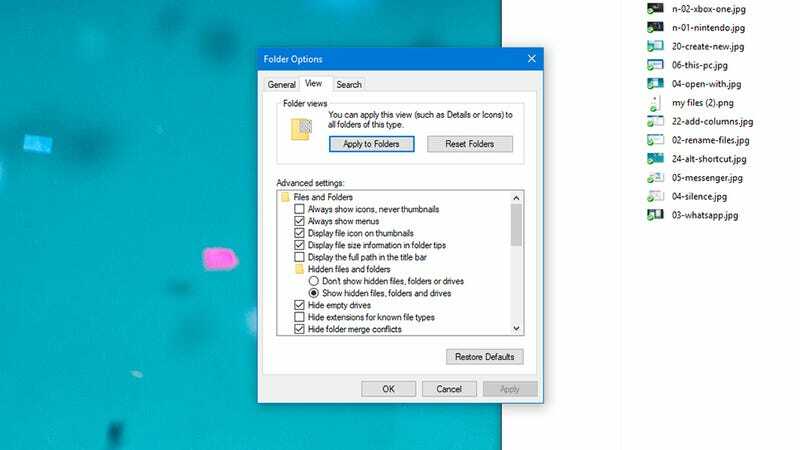 You don’t need to open a separate app to create a new file — right-click on a blank area of the desktop or a File Explorer window, then choose New and make your selection. It’s a convenient way of dropping new files (like plain text files) right where you want them. You can go backwards and forwards in File Explorer just as you’re used to in your web browser, via the arrow buttons on the left-hand side under the ribbon. Alternatively, hold down Alt and press the Left arrow or Right arrow on your keyboard for the same actions. If you need more metadata with your files, click View then Details on the File Explorer ribbon, and then pick Add columns and Choose columns. The next dialogue box lets you show a host of file details, from exposure time on photos to when a file was last printed. 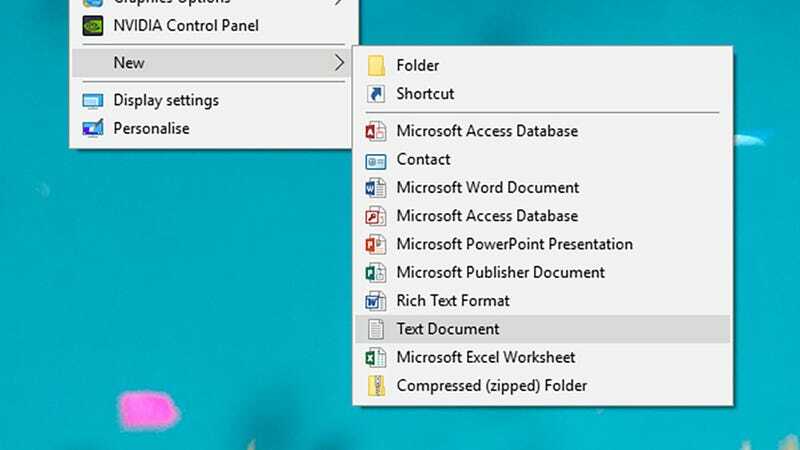 The Quick Access pane in File Explorer can get a bit untidy — right-click its entry in the left-hand navigation pane and select Options to choose what’s shown on this screen. To make sure a folder is always shown here, right-click on it and pick Pin to Quick Access. 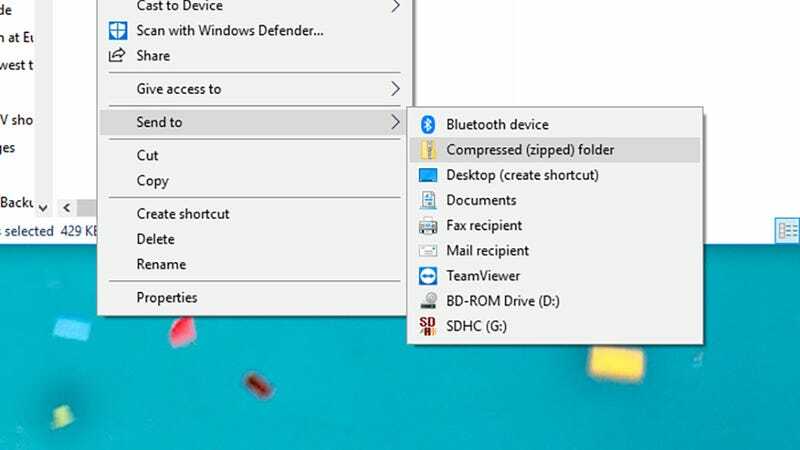 If you want easier access to a folder or a file, hold down Alt then drag it from a File Explorer window to the desktop (or anywhere else on disk). Right-click on it and choose Properties to make changes to the new shortcut, such as the program it opens up with by default.